Could one of the 12 buyer or Realtor® leads that called ADDvantage® after hours be your sale? ADDvantage® is the only flat fee MLS listing service in Colorado that guarantees LIVE phone support, 7 days a week with lead forwarding. ADDvantage® believes sellers deserve more when flat fee listing in the MLS in Colorado. 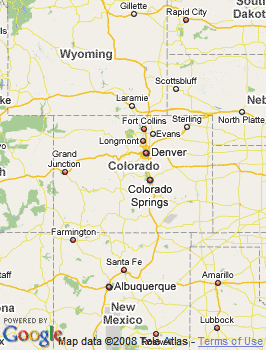 We offer more service, options, technology, and marketing for your Colorado flat fee MLS property. ADDvantage® is a flat fee MLS broker who helps you get more offers because we guarantee that all buyer leads go to you. And we back you up every single day of the week. Colorado sellers can get a flat fee MLS listing the same day and can list a flat fee MLS home or condo for sale or for rent or even list land flat fee in the MLS. We are the experts for listing in the Multiple Listing Service. ADDvantage® is a member of a Realtor® Board that utilizes the Telluride MLS. ADDvantage® brokers have membership in many Realtor® boards, providing sellers with many possible MLS choices in which to be listed. The Telluride MLS includes all listings from the Telluride Assoc. of Realtors. Note: ADDvantage® is not the Telluride MLS. ADDvantage® utilizes the Telluride MLS Multiple Listing Service system to provide flat fee MLS listings.